V Findlay Wolfe BLOG: Lovely!! 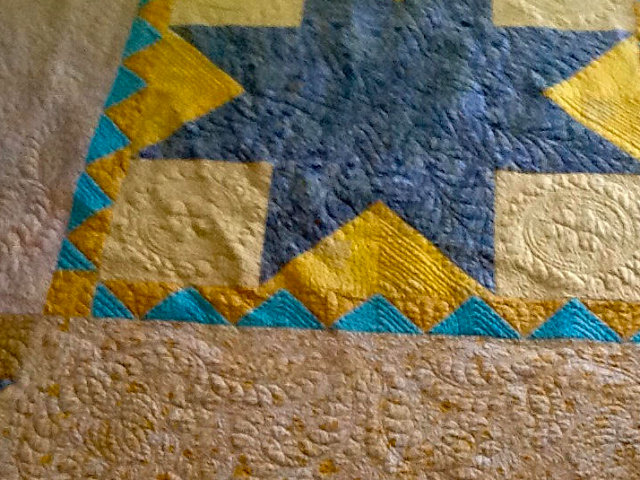 Kathy W, Sent me a photo of her quilt using a pattern I did a few years ago for American Quilter's Society Magazine, "Dances With Stars!" 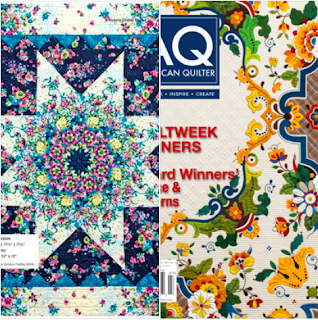 is the pattern from this AQS magazine below. You can still order back copies of it here. Isn't this gorgeous?? I love the color combo. She said she used up what she had, which I find very comforting! You can do really neat things by just using what you have... This is so clean and lovely, AND she quilted this on her Elna! Way to go Kathy! GORGEOUS!! Thank you for Sharing with us!! This make me want to cut up fabric right now, and make another version of my own pattern with Mostly Manor Fabrics!!! Soon as I find my copy!! (I can't find it!!) Argh! 8 FQ Manor Stripe bundles were added to my website shop! Slowly but surely! Half yard bundles are next... Not enough hours in the day!!! Hot damn! I've been looking forward to the all-stripes bundle. Something has gone wacky on my computer and this is the only way I can leave a comment! 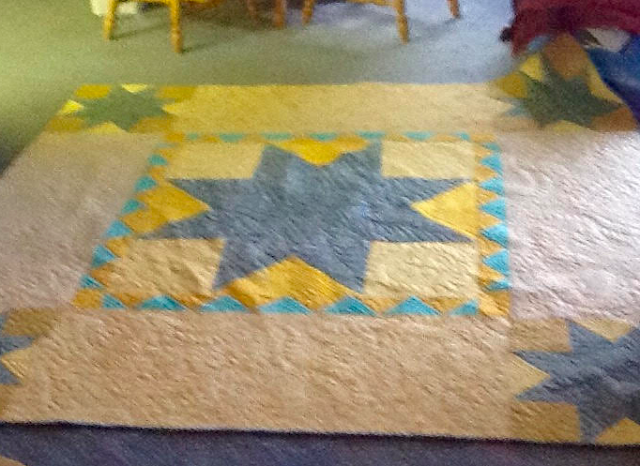 Kathy W.'s quilt is gorgeous! Your strips are a knockout! 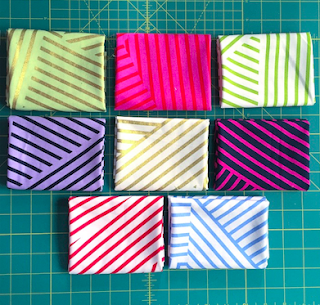 A quilt like Kathy's with your stripes - well, it would be fantastic!